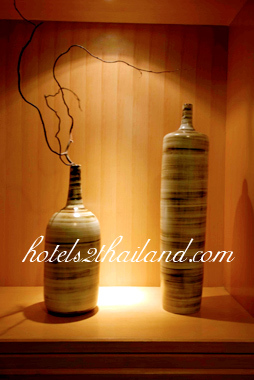 Bossotel Hotel Bangkok 7 out of 10 From 1,320 Baht (48 USD) 59 ratings. 5 user reviews. 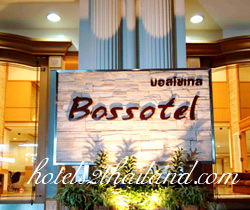 The Bossotel Inn is a 65-rooms hotel located near Silom Road. Guests usually enjoy their stay due to unmatched convenience the hotel being in its prime location, close to the hottest shopping area, Cho Praya River and leading department stores in Bangkok. Transportation is also convenient as the Bossotel Inn is situated near the expressway. We stayed at the Bossotel Hotel Bangkok for three nights from 27 dec to 30th, the hotel is in a great location tucked away from the hustle bustle of the main street which is only a stone throw away. The breakfast selection in the morning was great lots to choose from and the room was modern and spacious. The swimming is a great little escape from the business if you just want to chill. We would definitely stay there again. I recommend it to visitors to Bangkok clean rooms, good treatment, has a good breakfast.The location is also good,walking distance from skytrain and easy to find any good retuarant and night club aroul there.It&apos;s very convenience . Reception staff very well. Accommodation very clean. Breakfast is available. Variety of savory snacks, sweet fruit.